Zlatan Ibrahimovic scored his tenth and eleventh league goals of the season to help Manchester United beat WBA at the Hawthorns. The Swede, who has now scored ten goals in his last nine games, converted a beautiful header following a superb Jesse Lingard cross. United’s number nine bagged his second of the game eleven minutes into the second half with a deflected shot past former Red Ben Foster. If Ibrahimovic was the talisman for the goals, it was United’s midfield that ran the show – with Paul Pogba, Ander Herrera and, most notably, Michael Carrick providing the balance in what is fast becoming a strong Jose Mourinho outfit. The away side were well worth the three points and are now unbeaten since losing 2-1 to Fenerbahce in early November. Ibrahimovic was fortunate to only escape with a yellow card following a strong jump into Craig Dawson, whilst Salomon Rondon was extremely lucky to escape a red card after slapping Marcos Rojo. Both Rojo, who didn’t actually do anything, and Rondon were booked for their part in the exchange. The United fans were rightly in full voice in support for Marouane Fellaini, who came on as a substitute in the 84th minute, after the Belgian midfielder suffered a bout of booing from the home support following the 1-0 victory over Tottenham last weekend. Whisper it, but Jose Mourinho is starting to build something at Old Trafford. His Manchester United may be thirteen points off former side Chelsea, but the performances of recent weeks indicate that United are now starting to rack up the points that their performances deserved. 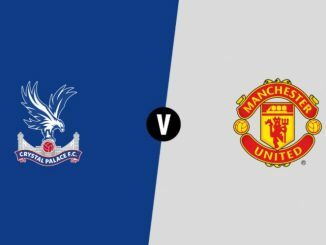 Tonight at The Hawthorns, Mourinho watched his so-called makeshift defence pick up yet another clean sheet – whilst Carrick effortlessly mopped up in front of the back four. 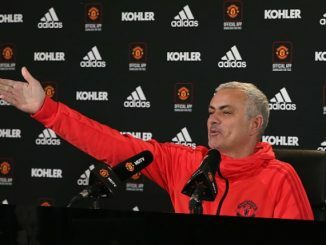 United’s number 16, who has now been at the club for over ten years, rolled back the years and his inclusion means a move to a much more balanced 4-3-3 shape. Wayne Rooney, was unlucky not to score his 249th goal for the club and equal Sir Bobby Charlton’s record when he smashed the bar midway through the second half, was brought in on the left hand side in place of Anthony Martial and Jesse Lingard was introduced on the right in place of the injured Henrikh Mkhitaryan. Lingard was instrumental in the opening goal having latched on to a forward knock by Antoinio Valencia to provide a wonderful pinpoint cross onto the head of Ibrahimovic. It was a direct bit of play, but Lingard’s quality was evident in his delivery and throughout the match his off the ball movement was first class. Ibrahimovic’s provided a number of genius touches throughout the match, with the pinnacle being a Cantona-esque back heel midway through the second half. Paul Pogba was again top class in United’s midfield and is starting to control games with his strength, dribbling and passing ability. The Frenchman was disciplined in his positioning and his first touch excellent throughout the game. Time after time, Pogba rolled the ball confidently from right to left to get out of a tight situation and release United up the pitch. His passing was exceptional, rarely giving the ball away, and he is building a strong foundation alongside Carrick and Herrera. The Spaniard was again all over the pitch, closing down the opposition and forcing WBA in to relinquishing possession. 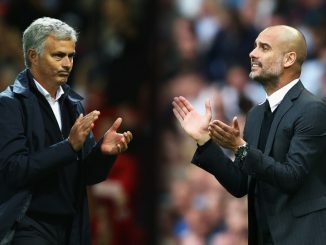 United fans will be hoping that Tottenham, Arsenal and Manchester City drop points on Sunday as Mourinho looks to climb the table following a frustrating couple of months. The Portuguese is building a winning mentality at United – evident in the fact that both Ibrahimovic and Pogba top the fouls charts at present. This crop of players had been labeled “a little too soft” (highlighting by the Swede’s apparent laughter and shirt exchange after the 4-0 defeat away at Chelsea), but the fight and determination showcased in recent fixtures puts this myth to bed. With Sunderland and Middlesbrough up next, United could well find themselves in the top four come the New Year. How Have Manchester United Fared Against Manchester City In The Past 10 Years?